Every day on this trip, I always be the first person to get up no matter how tiring the activities were at the day before. Maybe excitment was the thing that worked as dope for me. Again, that morning the girls were still asleep. Even when I had waken them up, they fell asleep again. So I went outside of the bedroom, and walked into the living room where there were a set of old and dusty couch. I opened the glass window and started to light my cigarette up. The view of this apartment unit was facing to the Orchard Road. It was quite early in the morning, so the activities of the citizens were not yet started. Though there were a lot of buildings at this road, the scenery was very green as there were rows of big trees on the side of the street. I felt really peacefull as the wind breeze hit my face and I smoke my cigarette deeply..... then exhale it into thin air. After I felt fully conscious, then I took a bath and woke up the girls for the several time. It was really important for us to wake up early at that day because we had to get to Universal Studio Singapore as early as possible. Since it was a high season, we wanted to avoid long lines for the ride. We had breakfast at Asian Food Mall, a food court where there were all kinds of Asian food counter, which was located at the basement of Lucky Plaza. 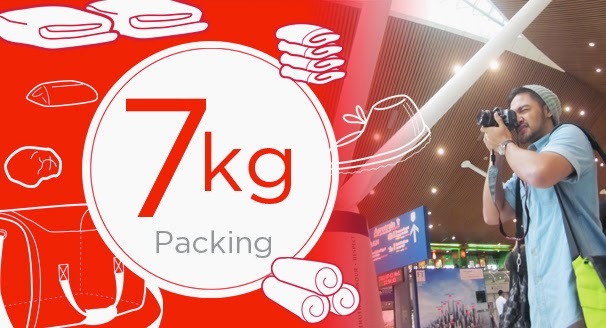 It offered various kind of food from Chinese, Japanese, Korean, also Indonesian (especially Javanese and Padang Food). 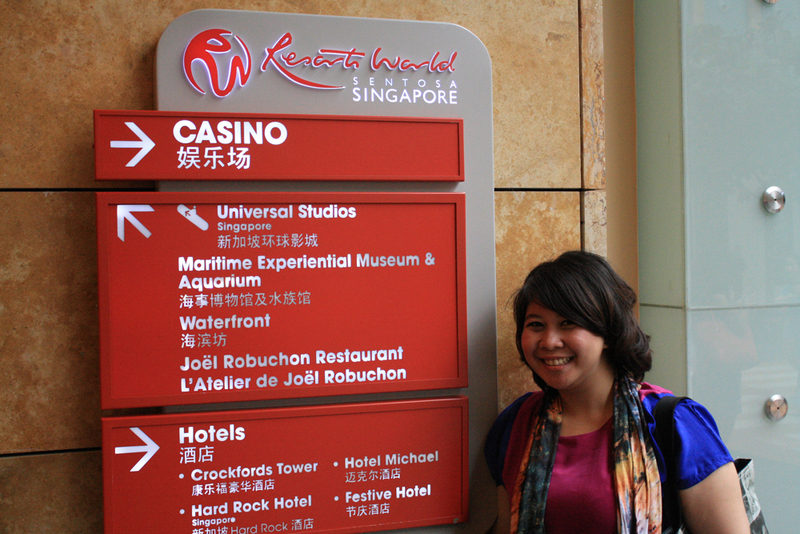 Satisfied with the breakfast, then we hire a cab from Lucky Plaza to Resort World Sentosa where the USS was. 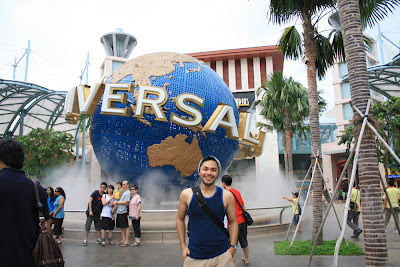 We were very spoiled at our trip in Singapore, we didn't take any public transportations. But it was for the sake of efficiency. The ride from Lucky Plaza to Universal Studio only took about 20 minutes. The taxi stopped at the basement of Resort World Sentosa (RWS), an integrated resort at the Island of Sentosa, off the southern coast of Singapore. RWS includes one of Singapore's two casino, some topnotch hotels, the Universal Studios, and Marine Life Park which has the world's largest oceanarium. 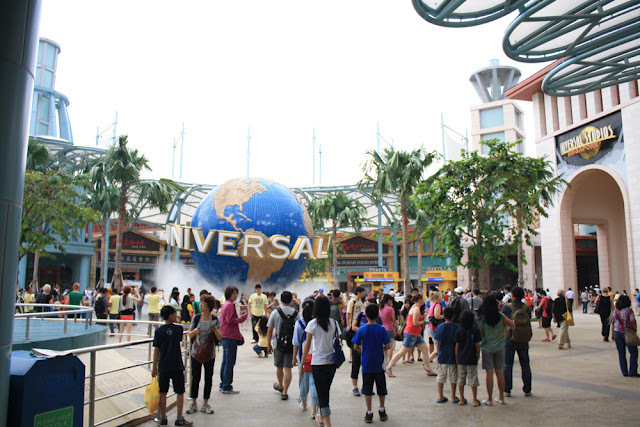 The signage stated that the Universal Studio is at the upper floor, so we went up using an escalator. When we reached the upper floor, which apparently was the ground floor, the famous universal studio's globe was already seen. People were taking their turn to took a picture in front of it. Of course we won't missed our turn! 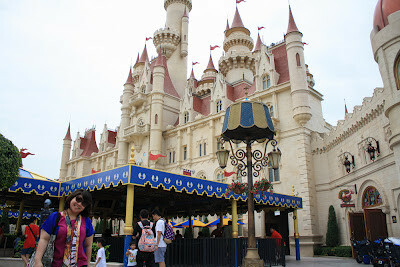 Since we arrived at USS quite early, so the queueing line was still a few and we could easily got inside. 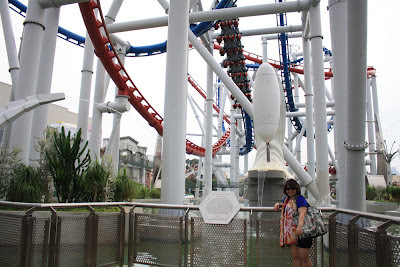 That was the third time for Rani went to USS, and by her recommendation we'd better to queue for the most exciting ride first before the line getting too long. 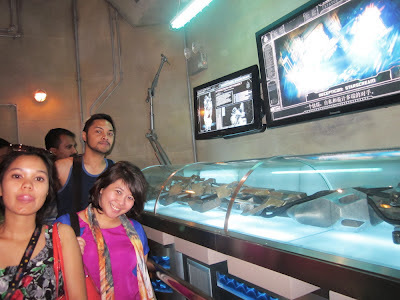 She suggested us to take the Transformer ride. As we walked to the ride, we passed through the classic hollywood and new york zone that has a distinctive building designs. It reminded me with the typical vintage hollywood movie set: Bank, Diner, Town house, and many more. Of course those building was really good to be a photo spot. 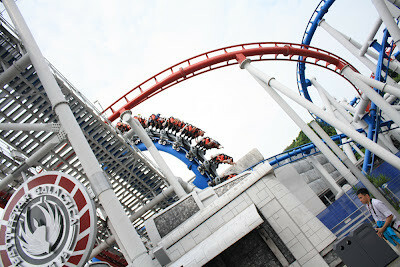 Finally we reached at the Transformer ride, but unfortunately there was a technical problem. And the staff was not so sure until what time. 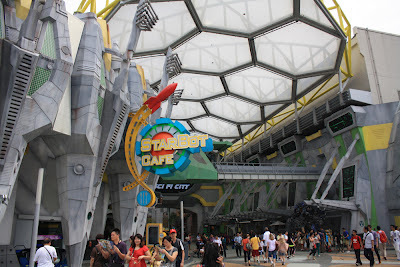 So we divert to another ride, but still at the Sci-Fi City zone. It was the Battle Star Galactica. 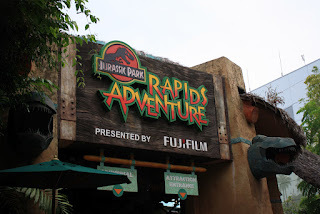 This ride was basically a roller coaster with two different tracks with an almost colliding sensation. The red track or the human track, was a seated roller coaster at speeds of 90 km/h narrowly avoids collisions as it twists, turns and propel us over 14 story in the air. 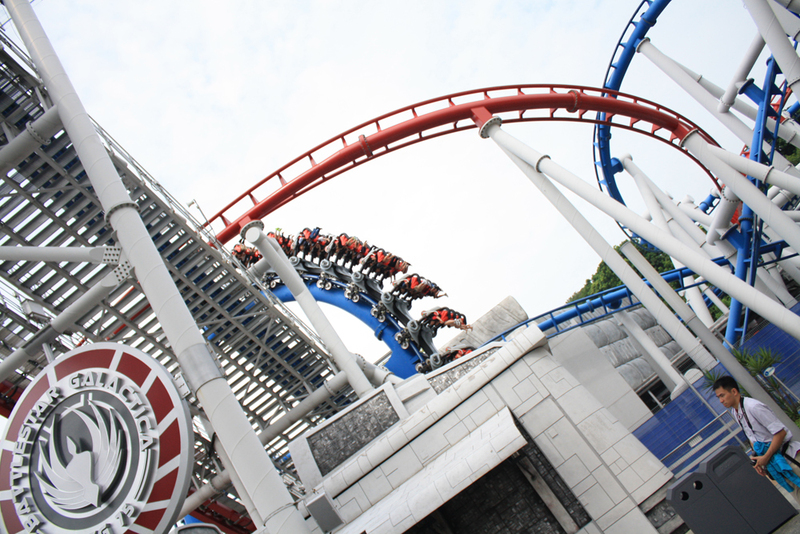 While the blue track or the Cylon track, was a suspended roller coaster that goes up, around and upside down with intense corcksrew and cobra roll. Riding those two rides surely gave me the hardest time to breath! It was really insane!!! Done with the Sci-Fi zone, we continued our walk to the Ancient Egypt zone and started the next ride: Revenge of The Mummy. 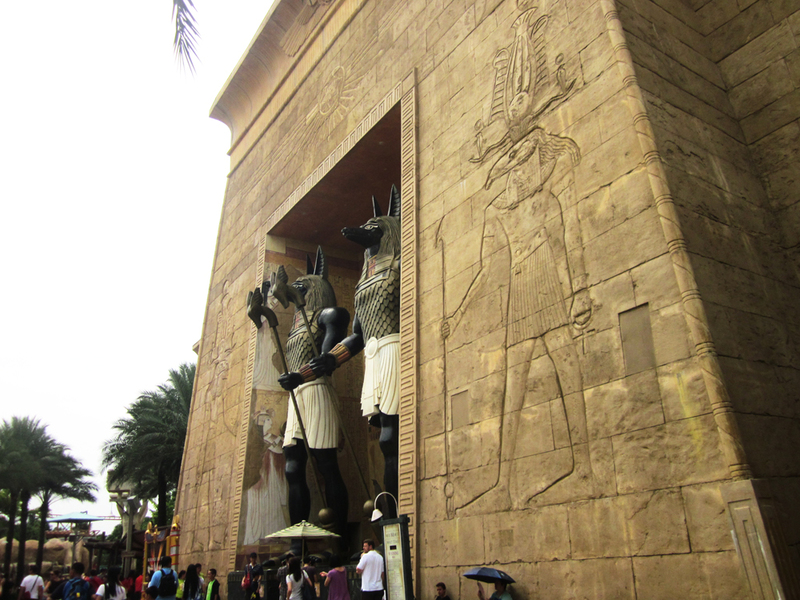 We entered a building that formed as a pyramid with two Anubis (jackal-headed ancient egypt god) standing at the entering gate. 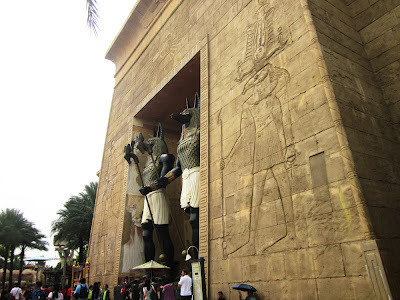 We plunge into total darkness on this indoor roller coaster as we faced warrior mummies on a psychological thriller ride. I don't want to tell you the further detail of this ride because it would eliminate your curiosity and surprised feelings. 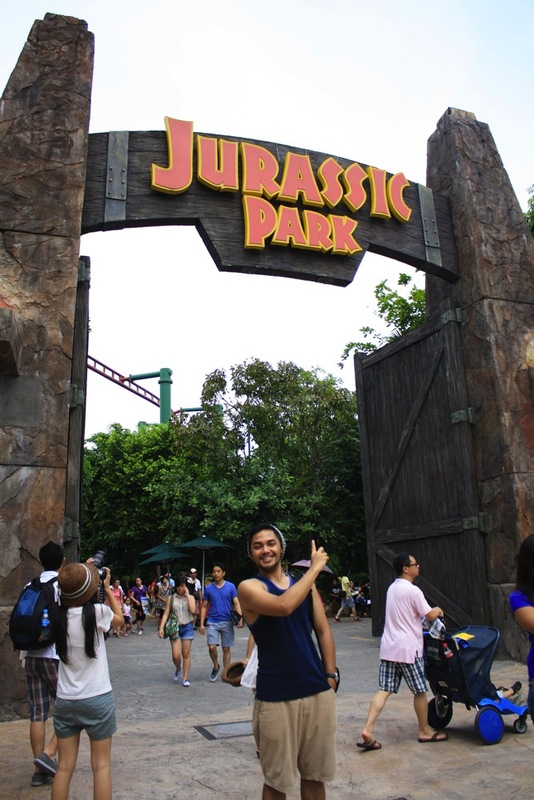 All I can say is just "Two thumbs up for this ride!". 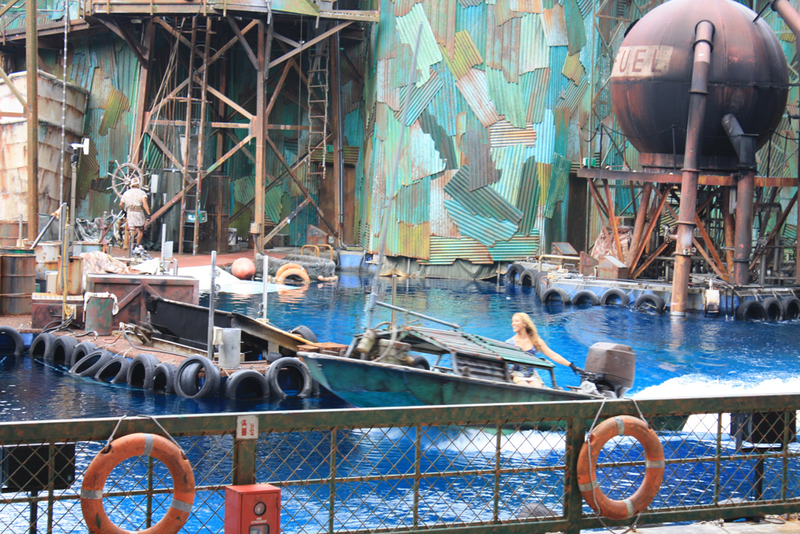 Next we tried our luck to check on the Transformer ride, and yes it was opened already. But the queue was terribly long! We had to queue for one and a half hour to finally reached the ride. 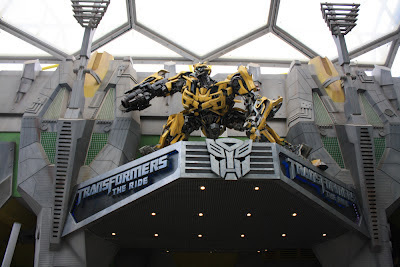 The interior of the building with it's transformer theme was quite interesting, but still, it couldn't banish my boredom for waiting that long. 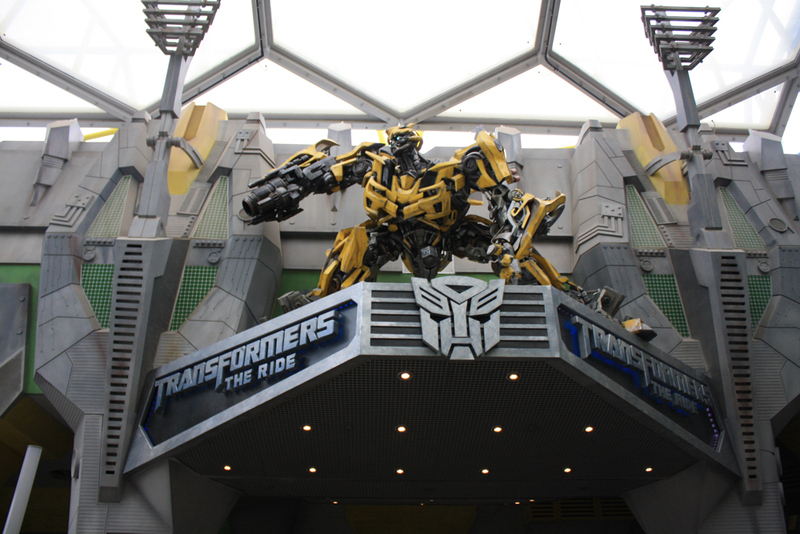 Transformers: The Ride-3D was an immersive, next generation thrill ride, blurring the line between fiction and reality. Fusing HD 3D media and flight simulation technology, this epic ride creates a very unique experience. We finished the ride at mid-day, so it means time for lunch! 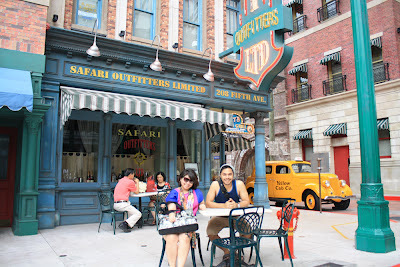 There were some eating spots at USS, but we chose the spot that located with the same direction as our next ride. 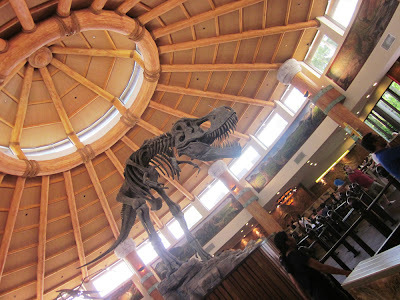 We decided to have lunch at the Discovery food court, in Jurassic Park zone. If you still remember the Visitor Center building in the Jurassic Park movie, this food court building was very much alike with that one. I ate a large portioned Hainanese Chicken Rice, plus fried chicken wings. I wondered why my appetite was increasing during this trip. Maybe it balanced the energy that I used. 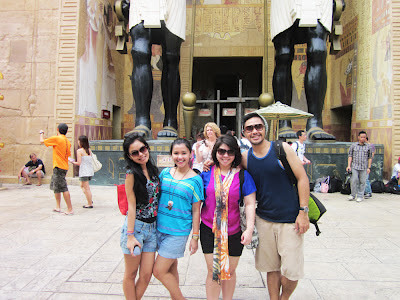 That was our last ride in USS, so we changed our clothes because though we didn't get wet in the last ride, our clothes were already wet by our sweats. As we walked to the exit gate, the last zone that we haven't reached yet was the Madagascar Zone. 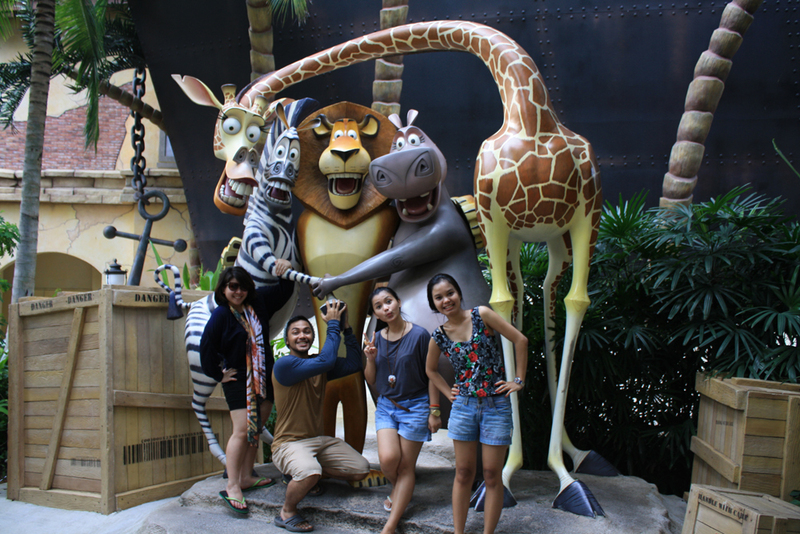 We didn't do any rides there, but the decorations and the statues of Madagascar characters were really interesting to take picture with. So there we took our photo. 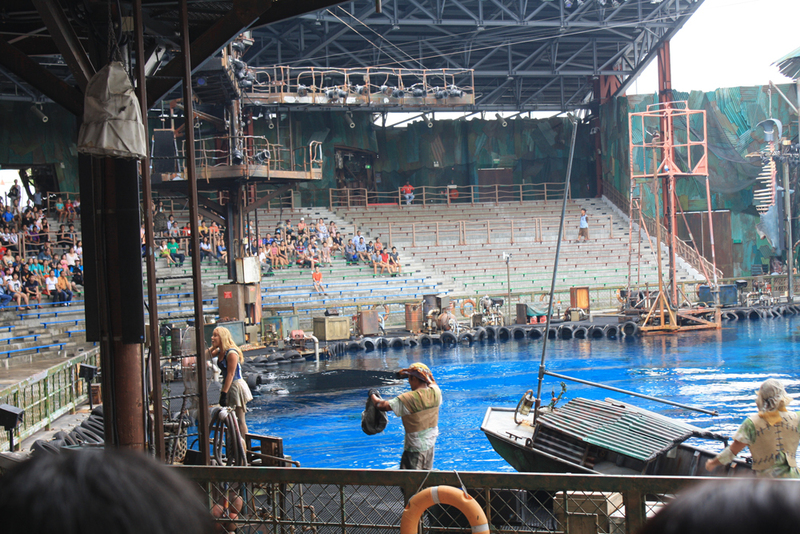 The overall experience in USS was very amusing. We were all very happy. 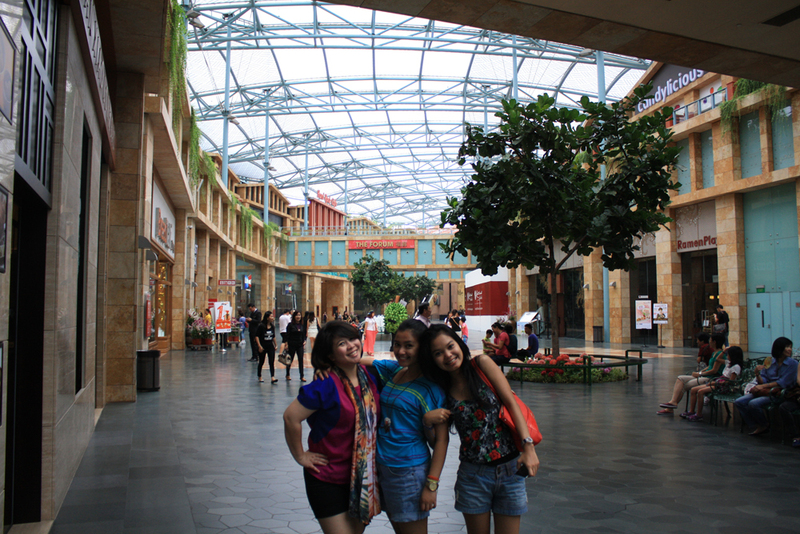 Our next destination was Anchor Point shopping mall at Alexandria Road. It was not a big shopping centre, but it has the outlet of Cotton On, a clothing brand from Australia with a good deal prices. Of course that wasn't my idea to went there, it was the girls'. 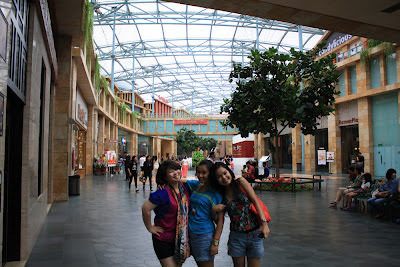 And they were right, my girlfriend Chika bought a clothe for only S$2 (Rp 15,000)... Wow it was extremely cheap!!! I didn't find any interesting things there so I didn't buy anything. While the girls were shopping, my ex-colleague Brad and Sugi came to join us. Brad is a local, while Sugi was in Singapore for work. Brad used to work in Jakarta, in my previous office, so that's how we knew. Brad then took us by his car to his favorite restaurant that sells chicken rice. 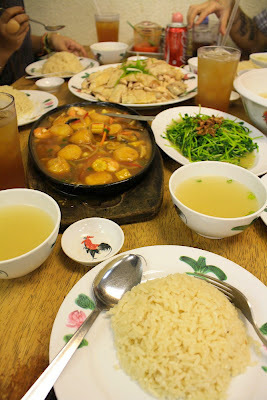 The name of the restaurant was Wee Nam Kee at Thomson Road, just across Novena Church. And yes, the chicken rice tastes really good! The best part was the clear soup, it has a great savory taste. 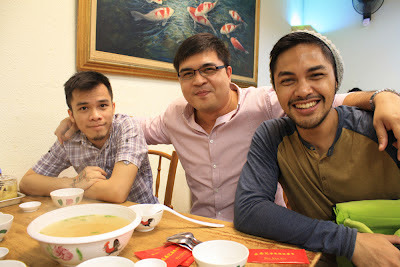 Eating at Wee Nam Kee, my tummy was really-really full. I ate two portions of hainanese rice.... Oh come on, it tastes great.... =9 Well, after eating too much carbs, suddenly I felt very sleepy. All I wanted that time was just a comfy bed! 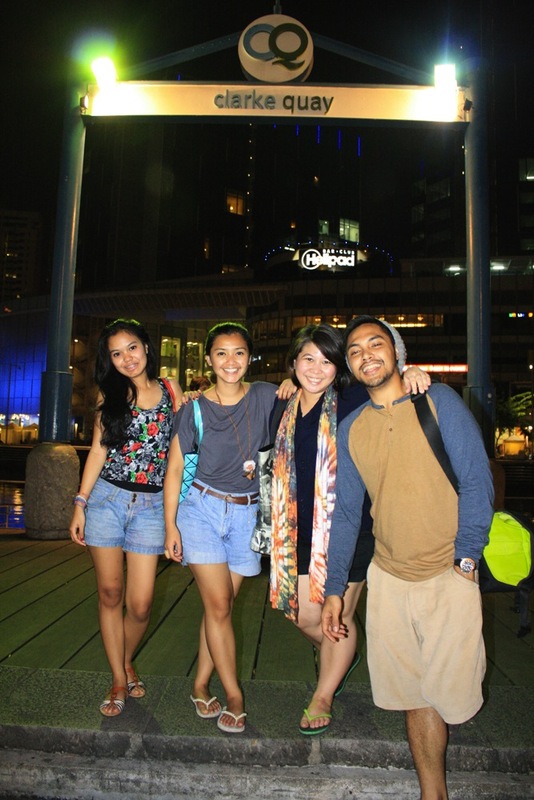 But then Brad offered to take us to Clarke Quay, he said that we haven't officialy visit Singapore if we haven't gone there. So, there I go with the rest of my energy. 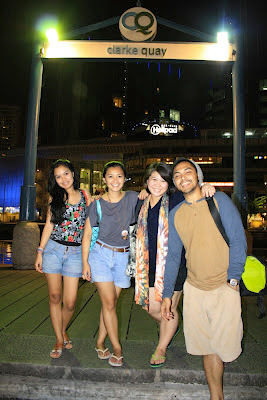 Clarke Quay is a historical riverside quay of Singapore River. It was named after Sir Andrew Clarke, Singapore's second Governor. There were some warehouses that used to be an important part of commercial activities along the river. Presently, these restored warehouses were used as various restaurants, cafes, lounges and nightclubs. 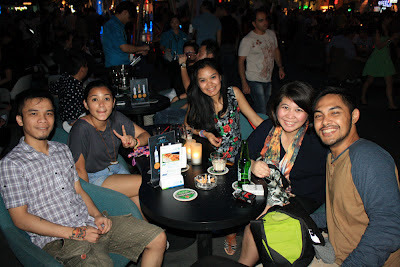 And yes, it's obvious, we went to Clarke Quay for drinks ;) It was Friday night when we were there, so the place was very crowded with the locals and also expats. 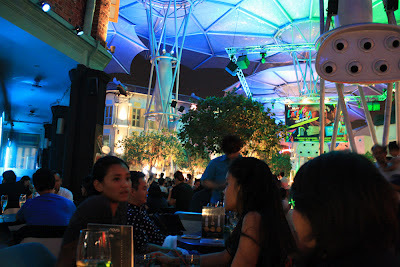 I found this Clarke Quay very unique, the old warehouse buildings was preserved well but the presence of the giant umbrellas and it's vivid lightings brought an ultra-modern atmosphere. 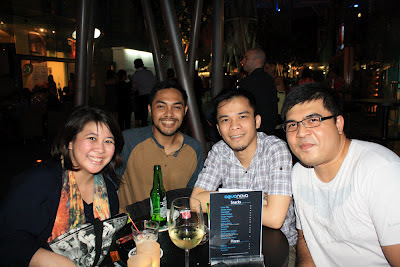 Since it was Friday night, it was not easy for us to find an available seat, until we stopped at Aquanova, a bar that has a semi-outdoor seats. And the good point (for me), the seat that we were going to use is smoking area. 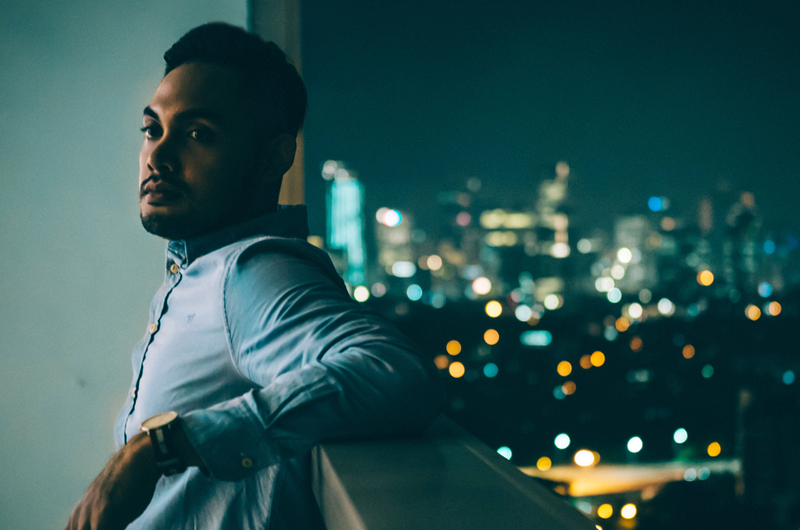 Finding a smoking area in Singapore was very difficult. They even wont allow people to smoke inside club. I wonder how could a party and drinking be without smoking?? Sounds almost impossible. Thanks to Brad, we had a great time hanging out in this Singapore's most happening place.